Is there a motorcycle in your life? Yours? Your spouse? Your brother or sister? Mom? Dad? How about your son or your daughter? If there is a motorcycle in your life, then you should know what to do after a motorcycle accident. Sure, it’s not a fun topic. It’s not even a pleasant conversation. But it is necessary – for you, your family and your friends. Our Miami Motorcycle Accident Lawyers at the Wolfson Law Firm have compiled a list of what you and your loved ones should know in case of a motorcycle accident. Our Miami personal injury attorneys have helped motorcycle accident victims in Florida since 1963. Our motorcycle personal injury team and our Managing Attorney Jonah Wolfson are all bilingual personal injury professionals ready to help you whenever you need them. Just call us at (305) 285-1115 for a free and confidential consultation. You are welcome to come to our office at 3399 SW 3d Avenue in Miami or we will come to you. Let us use our years of experience to help you achieve full, fair and complete compensation for your motorcycle accident injuries in Miami and throughout Florida. Get medical help for yourself and anyone else who may be hurt. Some injuries will be obvious. Other injuries may need to be diagnosed by a professional medical provider. Look at it this way – better to get checked out and be told that you are okay rather than finding out the hard way that you needed medical care all along. Gather your evidence. Use your phone to take photos and videos. Look to take photographs of your bike, the other vehicles involved, the scene, and your injuries. You can take pictures of driver’s license or identification cards of witnesses. Make sure you get photos of the roadway and any skid marks that might exist. Those skid marks can disappear over time and nothing beats a good photograph to prove a point. The roadway might be important if road construction, barriers, uneven roads or downed traffic controls played a part in your motorcycle accident in Miami. Witnesses can help. Ask for witness’ contact information. Use your phone to text an exchange of information with any potential witnesses. If you are a witness to a motorcycle accident, offer your contact information too. Our Miami personal injury lawyers always encourage our clients to help others as they might hope others might help them. Pay it forward. You can speak to the police officer. If you were in an accident, anything you say to the police officer is privileged and will not be used in any lawsuit. However, anything that you say to anyone else might be considered an admission and thus be admissible in a lawsuit if it gets that far. Listen to what other people say at the scene of the accident. Assuming you are conscious, listen to what the other driver says. Whatever they say might be deemed an admission and be helpful if a lawsuit is filed. If you think the other driver is drunk or impaired, then tell the police officer. Saying something today might save a life tomorrow. Do not yell, scream and accuse the other driver. Simply speak with the police officer alone and politely and respectfully tell the officer about your concerns. If you are not transported to the hospital, then make sure to get checked out your doctor or at an urgent care/emergency room. Better safe than sorry. Plus if you are injured, medical care and treatment will help document your case. That will be helpful later when some insurance company is trying to pick apart your case to lower the value of the settlement. Save your clothes, bike and equipment if at all possible. Any of these items could be valuable evidence in your claim. If your bike is taken to a tow yard then do whatever you can to have it released. Tow yards will charge by the day and in a very short time the bill could exceed the value of your bike. Get the best motorcycle accident injury lawyer you can find in Miami. Do your research. Ask your family and friends. Review the lawyer’s qualifications. 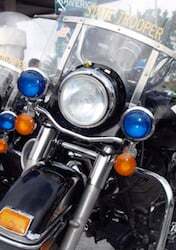 Find out if they have handled motorcycle accident cases in Miami before. If they have what happened in those case? Ask about their results. Be smart and don’t fall for a good sales pitch. Make sure you satisfied that you have thoroughly investigated the motorcycle accident injury attorney and that you are completely at peace with your decision. If you or a loved one were injured in a motorcycle accident in Miami, we can help. Our motorcycle accident injury lawyers in Miami can help you gather evidence and put together a solid presentation of your claim in a settlement demand to the insurance company. We will set a strict timeline for the insurance adjuster to respond with a reasonable offer. If they fail to do that we will be prepared to file a lawsuit. Our law firm can handle you motorcycle injury case in Miami from the beginning through settlement or jury verdict. We do not refer our cases out for litigation or trial. We also handle appeals when necessary. Rest assured that when you hire the motorcycle accident injury lawyers and the motorcycle wrongful death attorneys in Miami at the Wolfson Law Firm, we will see your case through to the end. You are invited to review our qualifications and our results. We welcome the opportunity to answer your questions in a free and confidential consultation. Let us answer your questions and help you to reach a fair, full and complete resolution of your case. We serve clients throughout Florida including Coral Gables, Gables-by-the-Sea, Key Biscayne, Edgewater, Surfside, Bal Harbor, Dania, Fort Lauderdale, Boca Raton, Wellington, Stuart, Margate, Sunrise, Weston and all the neighborhoods of South Florida.